'Coral Sunset' is an unusual intense sunset coral with rose overtones and a fluffy tuft of deep yellow stamens in the center. The lightly fragrant flowers are long lasting in fresh bouquets. ‘Coral Sunset’ blooms early in the peony season, usually in early June in our garden. It has an exemplary plant habit, with strong upright foliage that does not need staking. Its ruffled, semidouble blooms form a very full flower. The color changes to a harmonious light beige-yellow as the flower matures. Especially in strong sunlight flowers will display multiple color tints on the same plant. A permanent, sunny or partly shaded site is ideal for Peonies as they resent disturbance. They need a minimum of six hours of full sun, but a location with afternoon shade and protection from strong winds will ensure that the blooms last longer. Peonies perform best in well-drained, evenly moist soil with a pH near neutral. They are heavy feeders and enjoy the addition of lots of compost at planting time as well as a regular top dressing of compost in the fall. A layer of mulch will keep the soil from drying out as well as helping to keep the foliage clean. Peonies are drought-tolerant once established. When planting a Garden Peony, the depth is important. To ensure flowering, the eyes must be planted between 4 to 5 cms below ground level. Newly planted peonies often do not flower the first year because their energy initially goes into developing a deep, substantial root system. 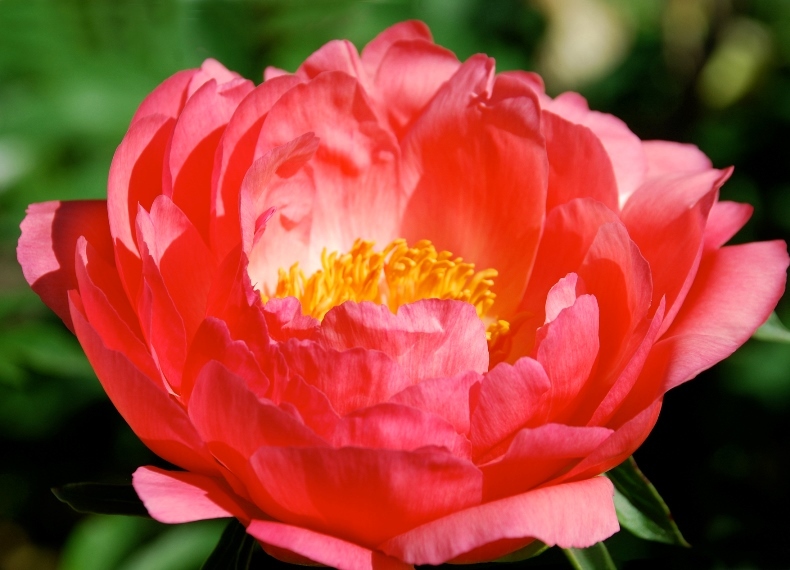 Once established, Peonies can live 50 years or more. If it is necessary to divide or move a peony it should be done in the fall.